Oppo, the leading smartphone company is offering the best Camera and storage facilities in the whole world. 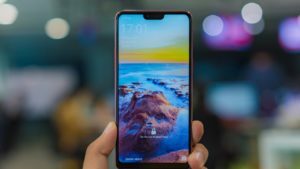 As they have recently introduced Oppo Find X, the biggest epic of this year. They have decided to launch some more smartphone months named Oppo R17 and now F9 in coming. Indeed, many people are waiting for the launch of Oppo F9 and the specifications create anxiety among the people. The first look of Oppo F9 will appear in Malaysia, and they have uploaded the picture and front look of this amazing smartphone. 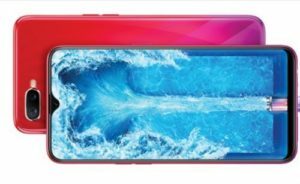 They have already announced that this mid-range handset will include a small notch and water droop screen design. This smartphone has almost 90.8% screen to body ratio, which is awesome. As compared to existing Oppo F7, whose ratio 88%. This smartphone has exceptional specifications and features which will force you to buy this mobile phone. Some Specifications may vary at the time of launch, but this is gonna best smartphone of this year. When to Launch in Pakistan? This smartphone will launch in Pakistan by the end of this year, probably October or November. The actual date will soon be announced by the company. However, the smartphone launch date in Malaysia is in August.